Powerful is one word you can use to describe the book "I Am In Here," by Elizabeth M. Bonker and Virginia G. Breen. The story - told through the Elizabeth's poetry and Virginia's memories, highlight the strength and determination of both mother and daughter. Elizabeth's words, told through her poetry and brief descriptions of the works, truly highlight her determination to break through the chains of silence brought on by autism. Through her memories and in telling Elizabeth's story, Virginia captures what a parent will do to help her child succeed - even if the world thinks differently. In Hollywood, this book would end with Elizabeth being able to speak verbally. While that's not the case here, what is the case is that both Elizabeth and her mother continue to work for the day that she can become new. This story is filled with hope, faith and more. It's definitely a book I plan to pass along to a few parents in my ministry who are also part of the journey known as autism. Though she cannot speak, Elizabeth Bonker writes poetry that shines a light on the hidden inner world of autism and the world around us. I Am in Here is the spiritual journey of a mother and daughter who refuse to give up hope, who celebrate their victories, and who keep moving forward despite the obstacles. Elizabeth's poetry and her mother's stirring storytelling combine in this inspirational book to proclaim that there is always a reason to take the next step--with hope. Elizabeth M. Bonker is a thirteen-year-old young lady with autism who cannot yet speak, but who writes deeply revealing poetry, which was featured on PBS's Religion & Ethics Newsweekly. She excels in mainstream public school with an educational aide. Virginia G. Breen is the mother of three beautiful children, two of whom are profoundly affected by autism. Besides working to heal her children, Virginia is a venture capitalist investing in high-tech companies, and she sits on both corporate and nonprofit boards. Previously she studied computer science at Harvard, business at Columbia, and eastern philosophies in Singapore. She now studies relentlessly at the School of Autism. 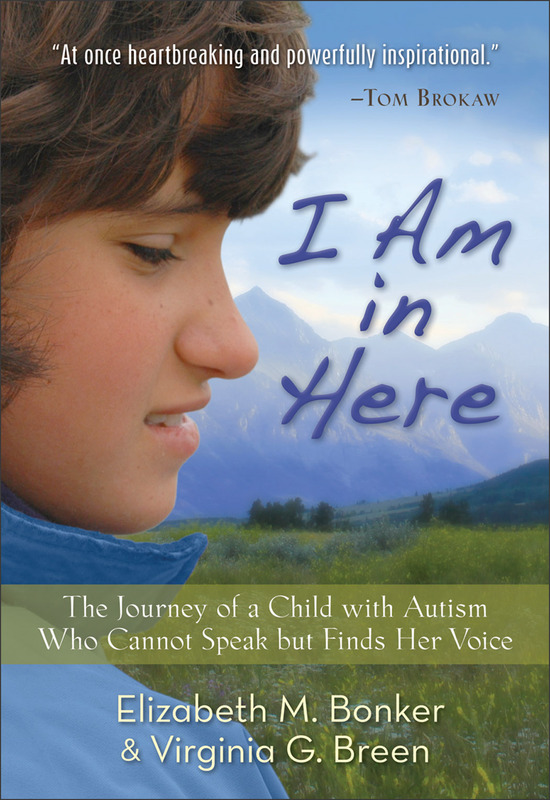 Note: Ginnie Breen, co-author of I Am in Here is scheduled to appear on “The Today Show” on Wednesday, Nov. 9, to discuss her book. As with all national TV, this is still subject to change due to breaking news.